To compare the diagnostic capability of three-dimensional (3D) neuro-retinal rim thickness (NRR) with existing optic nerve head and retinal nerve fiber layer (RNFL) scan parameters using high-definition optical coherence tomography (HD-OCT). Based on the mean deviation (MD) of the Humphrey Field Analyzer (HFA), the 152 subjects were categorized into mild (MD > − 6 dB, 100), moderate (MD − 6 to − 12 dB, 26), and severe (MD < − 12 dB, 26) glaucoma. The HD-OCT values of NRR, RNFL and ganglion cell inner plexiform layer (GCIPL) thicknesses, along with those of other parameters (rim area, disc area) were obtained, and the average NRR thickness was calculated. For all of the HD-OCT parameters, RNFL thickness showed a higher area under the ROC (AUROC) curve (range: 0.937–1.000) than did NRR thickness (range: 0.827–1.000). There were significant RNFL, NRR, and GCIPL AUROC curve differences among the mild, moderate and severe glaucoma groups. RNFL thickness for mild glaucoma showed a significantly larger area than did NRR thickness [area difference: 0.110 (± 0.025); p value < 0.0001). Furthermore, RNFL relative to NRR thickness yielded higher sensitivity (85–100% vs. 72–100%) and specificity (89–100% vs. 84–100%) for diagnosis of glaucoma. RNFL thickness remains significantly better than 3D NRR thickness in terms of glaucoma-diagnostic capability in HD-OCT.
We thank Dr. Yong Woo Kim from SNUH for his assistance and contribution in this research work. S. Subramaniam, None; J. W. Jeoung, None; W. J. Lee, None; Y. K. Kim, None; K. H. Park, None. W.H.O. Priority eye diseases. 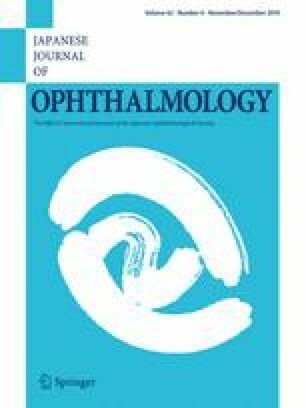 http://www.who.int/blindness/causes/priority/en/index6.html. Accessed 27 July 2016.